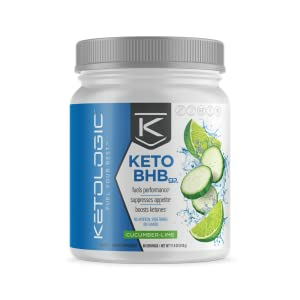 SKU: ketologicbhb. Categories: Keto, KetoSeries. Beta-Hydroxybutyrate (BHB) is a ketone body produced by the liver, from fat, for energy when glucose isn’t available. It ultimately becomes the body and brain’s primary source of energy. Since the liver naturally produces BHB during ketosis, the process can take quite some time, often resulting in symptoms of fatigue, hunger (cravings for sugar, a faster energy source), and mental cloudiness (sometimes called the ‘low-carb flu’ or the ‘Keto Flu’). That’s why supplementing BHB on a keto diet can have a positive impact. BHB, a naturally occurring energy substrate, is the transport form of ketone bodies. BHB mineral salts, such as BHB sodium, calcium, and magnesium are hydrolyzed to free BHB and free metal ions upon ingestion. BHB then travels to the brain and muscles through the blood stream. Once in the cell, BHB is converted into acetoacetate, then to acetyl CoA, to enter the citric acid cycle and generate ATP. Before/during/after workouts to supplement with readily available energy. BHB supplementation is most common among ultra low-carb ketogenic and paleo dieters. Blood levels of BHB increase during low-carb dieting, and are routinely measured in these dieting populations. A boost in blood ketones indicates that the body is preferentially using ketone bodies for fuel, and benefiting from lowered blood insulin and blood glucose, while burning stored body fat. 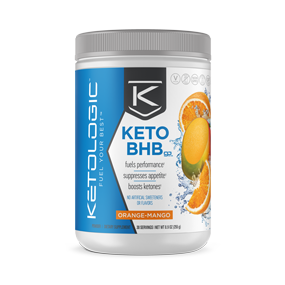 Target consumers of BHB include individuals looking to supplement ketogenic diets, boost physical performance, avoid sugar highs and lows, improve mental performance, and enhance fat loss while maintaining muscle mass. Looking towards the future, BHB is a natural fuel alternative to carbohydrate-based (sugar-based) fuels, such as energy drinks, sports drinks, snacks, etc.